With a focus on the beginner/intermediate surfer, NSA’s experienced staff will take any surfers skills to the next level and beyond. 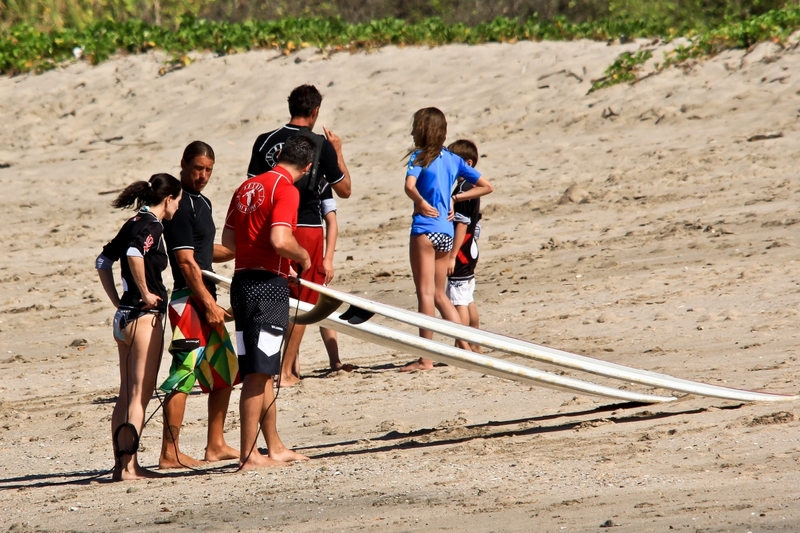 We understand at Nosara Surf Academy that teaching surfing is subjective. Although we follow a general philosophy for surf instruction, we understand that we must be conscious of the inherent characteristics of the individual. So whatever level of surfer you may be, our instructors with patience and ocean knowledge will make sure that you get the proper amount of instruction, encouragement and guidance you need to become the best surfer you can be. Growing up on the south shore of Long Island NY, the ocean and surfing have always been an influential part of my life. So much so that in 1999 I decided to take a 3 month surf trip all over Costa Rica. After about two weeks of traveling I arrived in Nosara and immediately fell in love with the town, the people and of course, the waves! I knew almost instantly that Nosara, Costa Rica was where I wanted to spend the rest of my life. The only problem was, how was I going to support myself here in paradise? Well, fortunately I was offered a position as a surf instructor for the only surf school that existed in Nosara at that time and the rest is history. After working for two other schools for 10 years, I felt it was time to take my decade of surf instruction knowledge and create the perfect surf school/camp in the perfect location. My background in lifeguarding, surf instruction and the local area combine to create a safe, informative and cultural experience that you will never forget!